This 1000 square foot home near Conway on Fir Island was built in 1939 and hadn’t had much in the way of updating since then. There were a number of outbuildings, most of which didn’t have a lot of appeal. 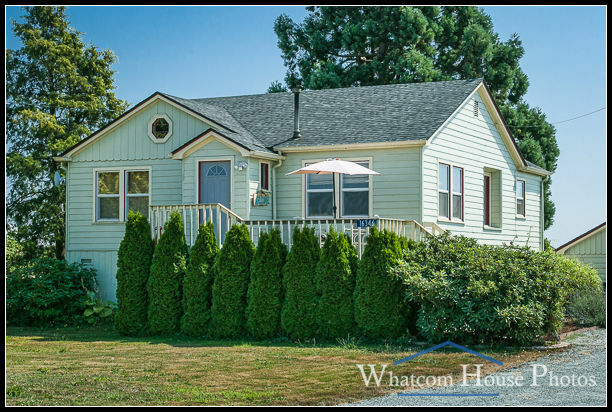 There are people who like older homes, so it was important to show off the best features and make this little house appear as roomy and comfortable as possible. 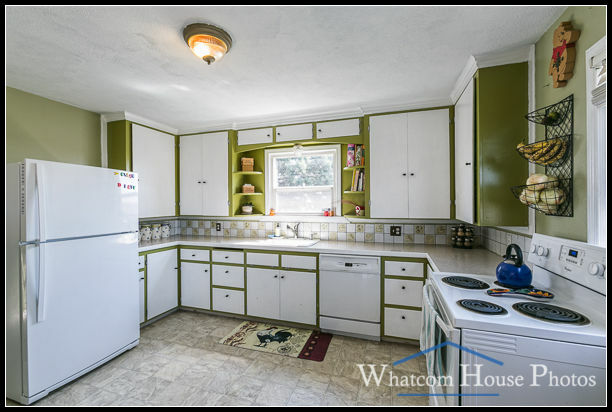 The kitchen was clean, neat, and tidy but small and plain. I photographed it from the door to the dining room. 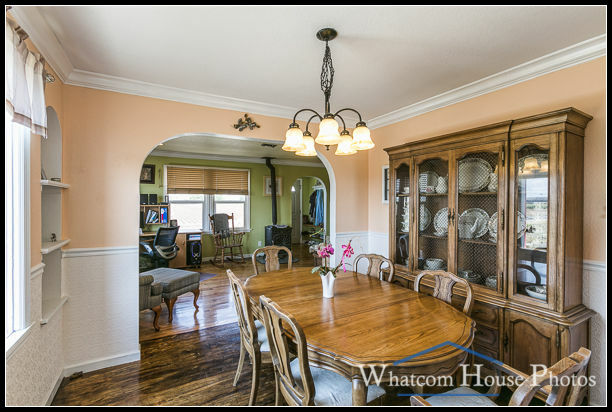 The house had a couple of nice architectural details, including the arched doorway between the dining room and living room crown moulding, and wainscoating. 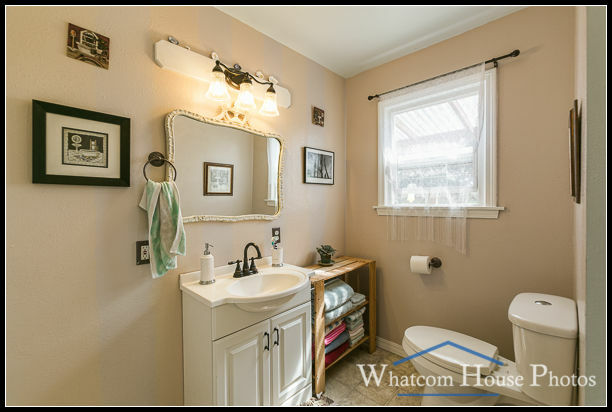 The single bathroom was small, with an updated vanity and toilet. Both bedrooms were small and dark. 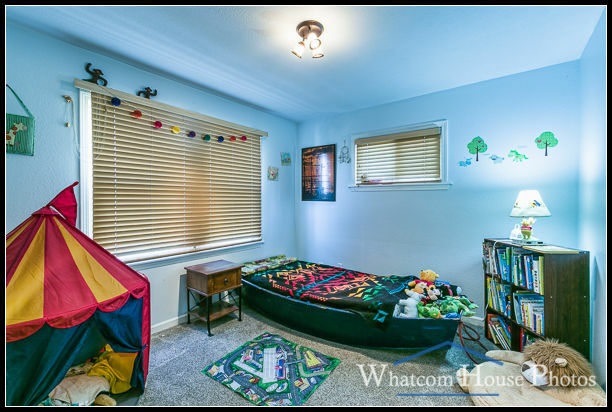 This was obviously a child’s bedroom. The trick to photographing dark rooms and have them look bright and attractive is to expose them properly. This was shot with just the ambient light in the room, with exposures for the HDR bracket ranging from 1/6 to 1.3 seconds. 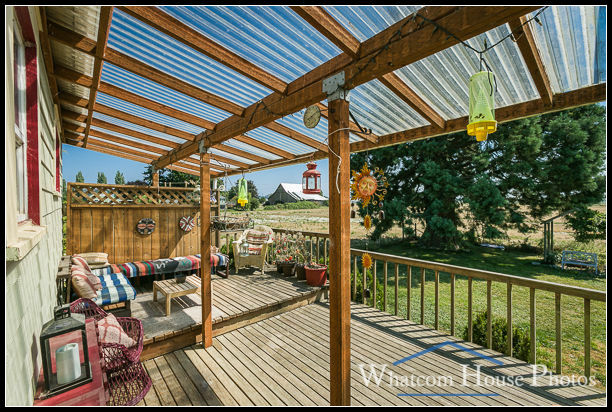 The back deck was an obvious add-on to the original home and came across as a nice place to relax and enjoy the private backyard and surrounding farmland. I had to do a little cleanup of junk laying around on the deck before photographing it. Regardless of the size or age of a home, I’m always looking for the best vantage point to photograph each room and paying attention to the details that will help show it to best advantage. Photographed for Eric Larson at Coldwell Banker Bain Real Estate.